in addition to a special appearance of From the Desk of Lucy Bull and Kayla Ephros. April 11 - 14 2019, The Geffen Contemporary at MOCA. 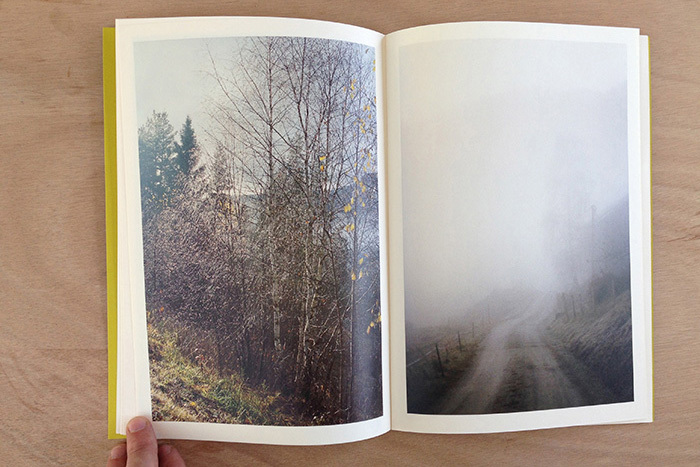 FOG is comprised by a body of photographic work where two series of pictures are presented adjacent to each other. On the one hand, a series of images of grouped volumetric shapes scattered throughout a landscape. These concrete blocks share the same size and shape - some painted in camouflage patterns which seem to have faded. 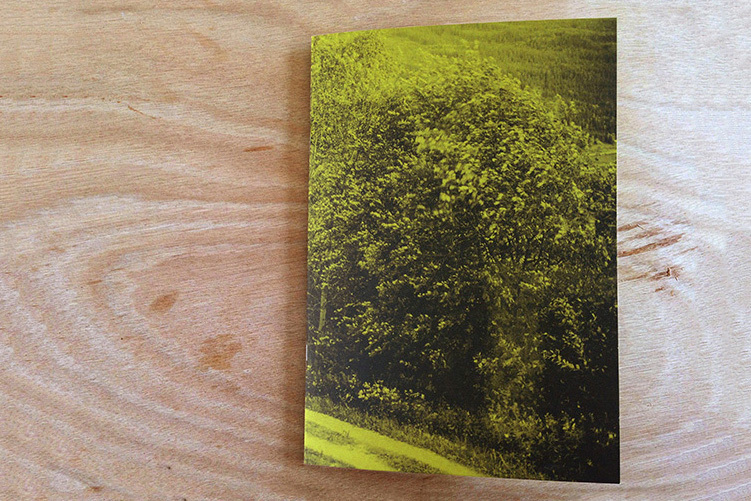 The location and the distance between them suggest an initial intent, structure or logic. 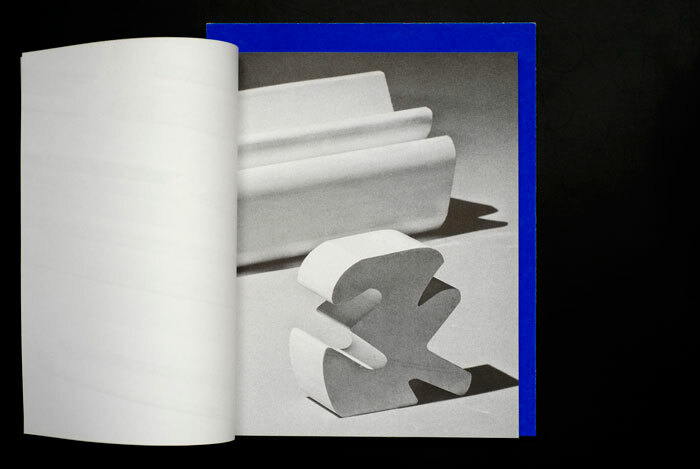 On the other hand, a series of pictures depicting objects with varying shapes and degrees of readability. They too, are shaped objects, but they share the ability to manifest shape themselves. As tools, they hold a potential in the sense that they can contain or process materials and create essence through their own form or utility. Combined, these objects raise questions to which the rather fruitless concrete slabs cannot provide answers to. 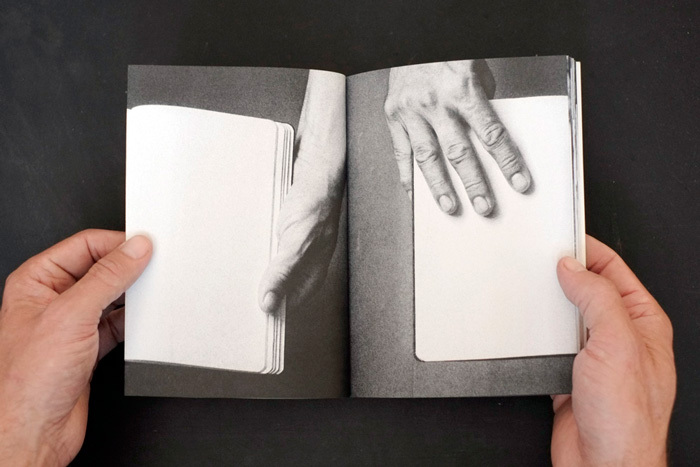 The distance between what is depicted in the pictures oppose a clarity of reading, while opening the work towards an arbitrary and the unforeseen. Morten Torgersrud's photographic practice has been based mostly in and around his native northern parts of Norway, but in a quite different way than we are used to from romanticized depictions of The High North. 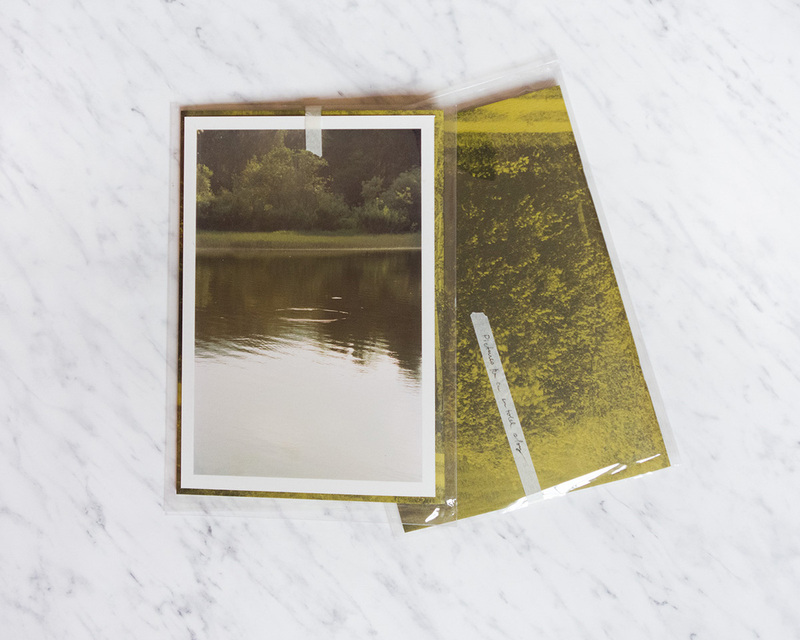 His projects can be seen as a continuation of the traditional landscape imagery, as well as a critique of the construct of national and local identity through photographic depictions. In Torgersrud's work the local characteristics are usually absent; the landscape is simultaneously both specific and generalized. 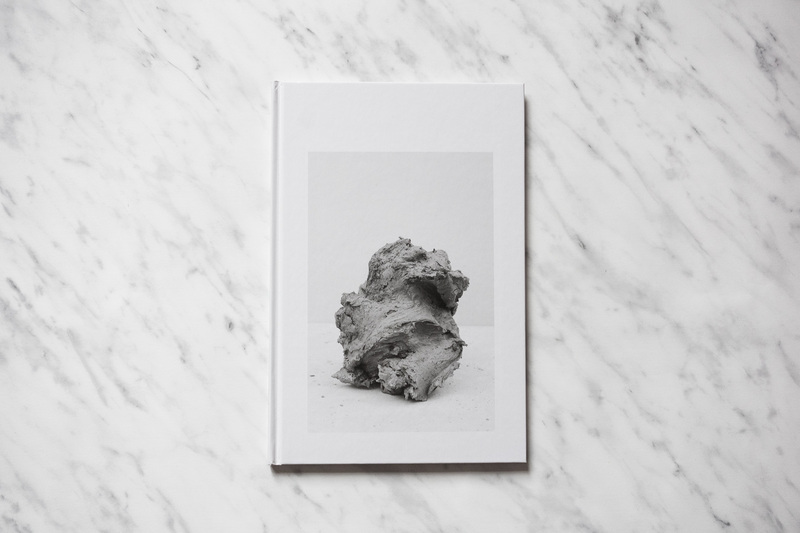 His latest project, Lumps, shows us what usually lies outside the range of the photograph; beneath the soil. The project consists of a series of photographs depicting clods of mud dug out from the landscape in The High North, the northern region of Norway bordering to the arctic region and Russia. 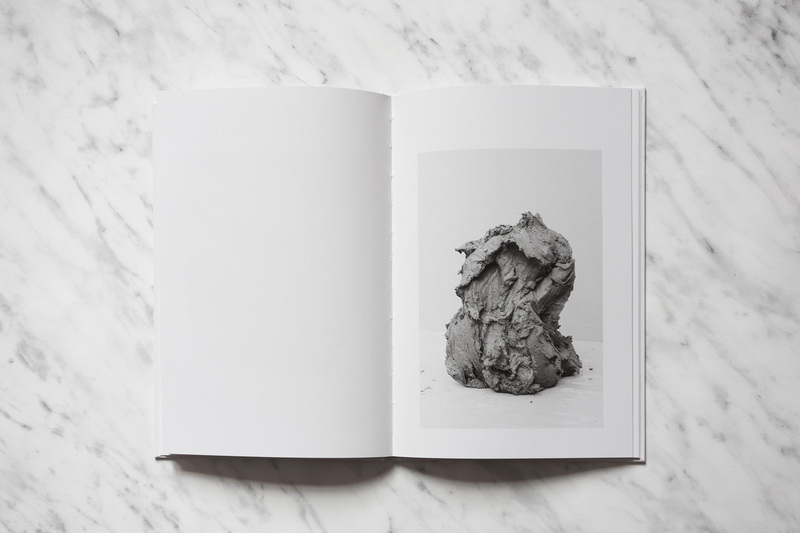 The lumps appear as abstract sculptures - studies in form and materiality. But in light of Torgersrud recent practice they are images of specific places, though with an even greater extent than previously they seem geographically unidentifiable. Thus, they oppose the prevailing method of dealing with landscape in photography, which is often characterized by a quest for something, identity-based and authentic. 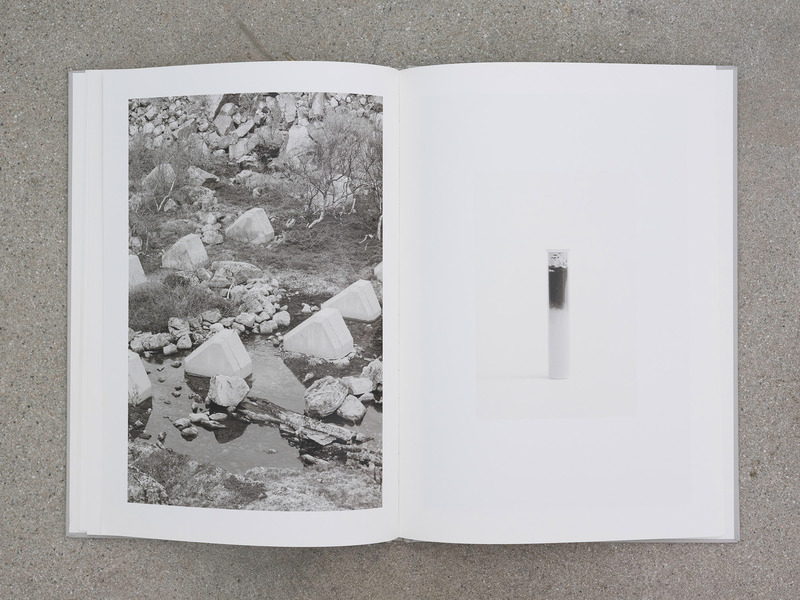 In Torgersrud's view it is the actual form that is the photographs true content. In Lumps, through a formal approach to an increasingly politicized landscape - it is made visible how the photograph represents a place, while it has the capacity to draw fragments of place out of its original context. 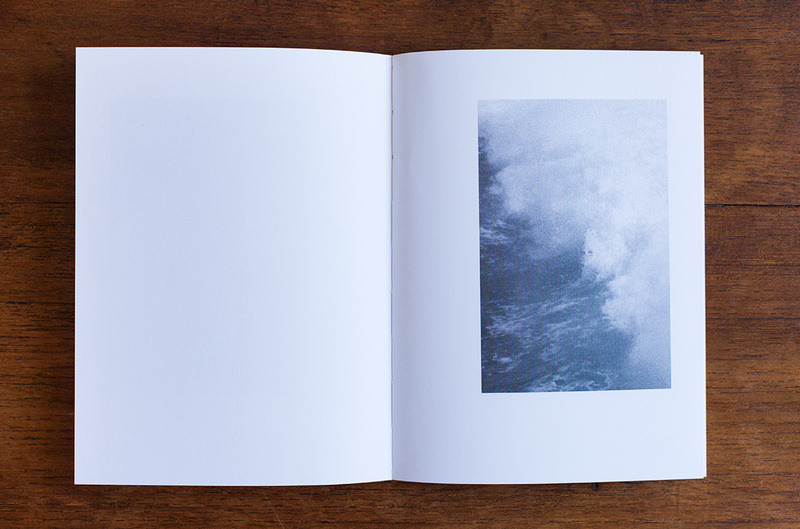 Includes the book and a limited edition print, signed and numbered en verso. 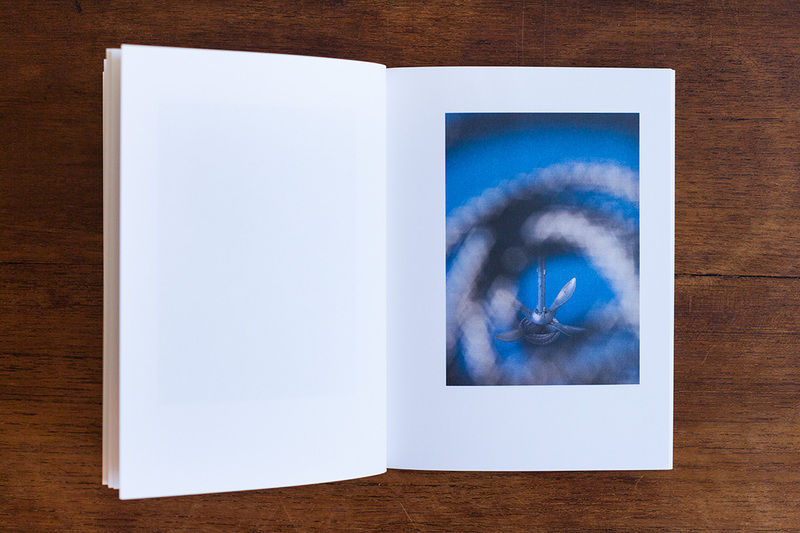 Inkjet print on Hahnnemuhle Photo Rag Baryta paper, 28,5x19,5cm. There's a hand and there's another and then there is the other. Echoes of year-old sunlight exposing hand gestures, a soft shadow against changing background, and a brilliant rectangle entering the frame and fixating the narrative. 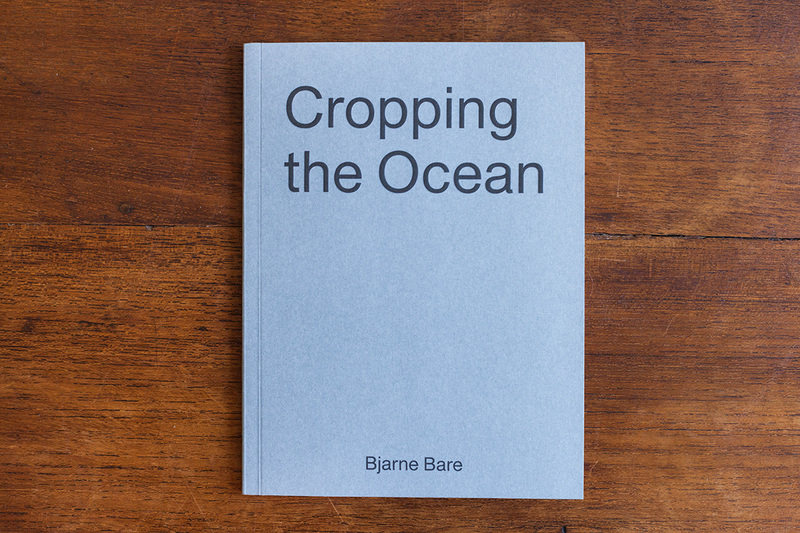 Cropping the Ocean is a book made out of a single negative containing an image of a splashing wave. 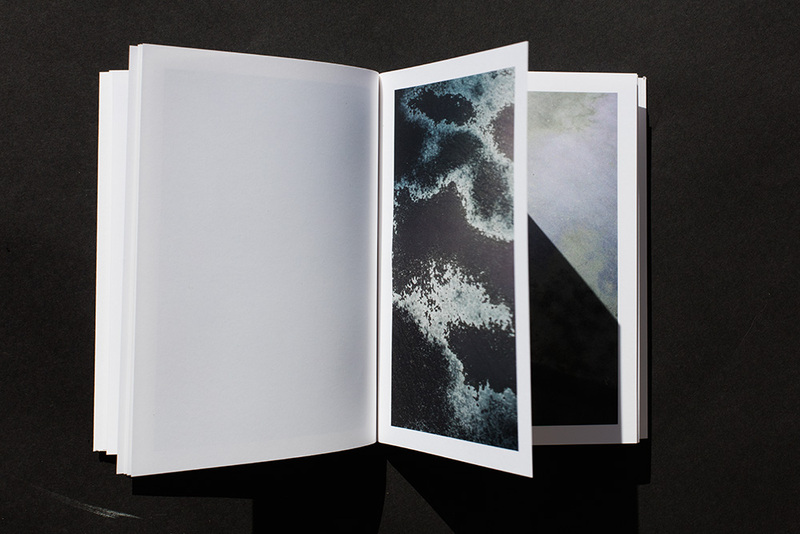 By cropping the negative and making several new images from the initial one, the works create room for a stronger depiction of the force of the ocean, thus exploring the potential of the single images body through repetition. 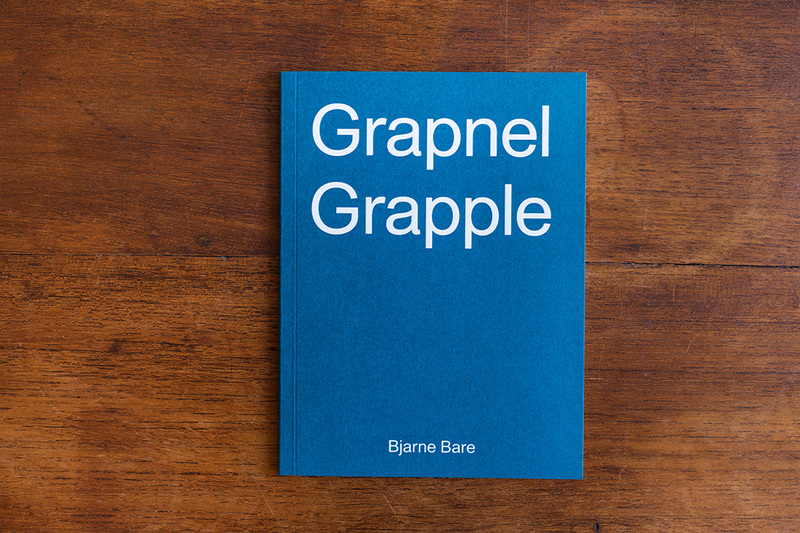 Grapnel Grapple consists of a series of images of a grapnel distracted by a piece of rope mimicking movement, functioning as an allegory of the moving ocean. The rather mundane object - set in a classic photographic setting - is standing still while the sunlit rope moves in front of the camera corrupting the protagonist. 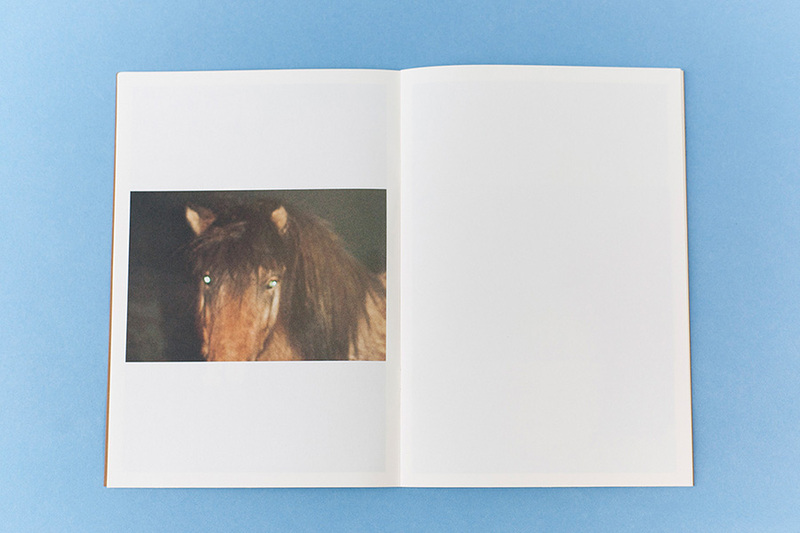 Distance (Pictures for an Untold Story) is the third in Ola Rindal's series of books for Cornerkiosk press since 2012. 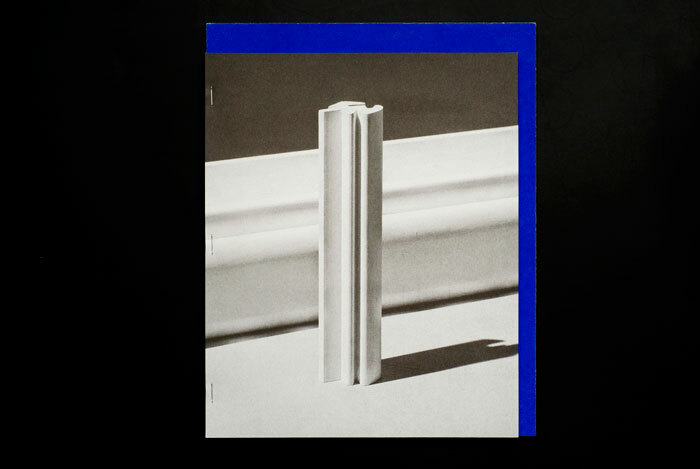 As it's forerunners it is the product of Rindal's experiments with photography, texture, exposure and light. The obvious playfulness in the technique Rindal has chosen for his particular subjects points to a school of photography, where the end result is about exploring a glance, and pushing the boundaries of its terms. 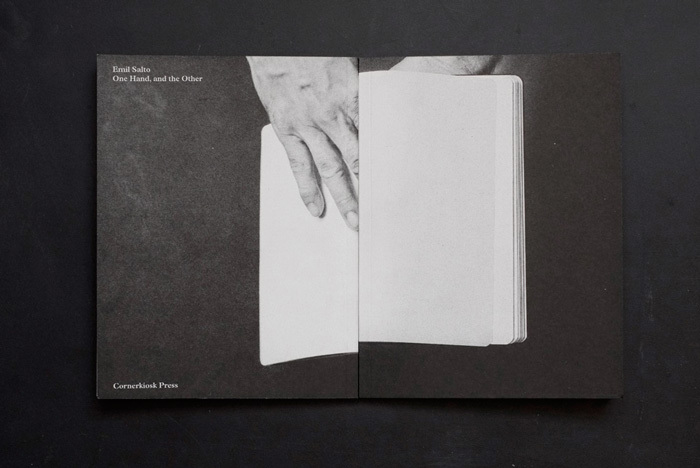 Rindal explores the fugitive, the mysterious and invisible in his imagery. In Distance we are invited in with Rindal in his family village of FÃ¥vang, Norway, located in the vicinity of the Norwegian mountains, in a three hour drive from Oslo. 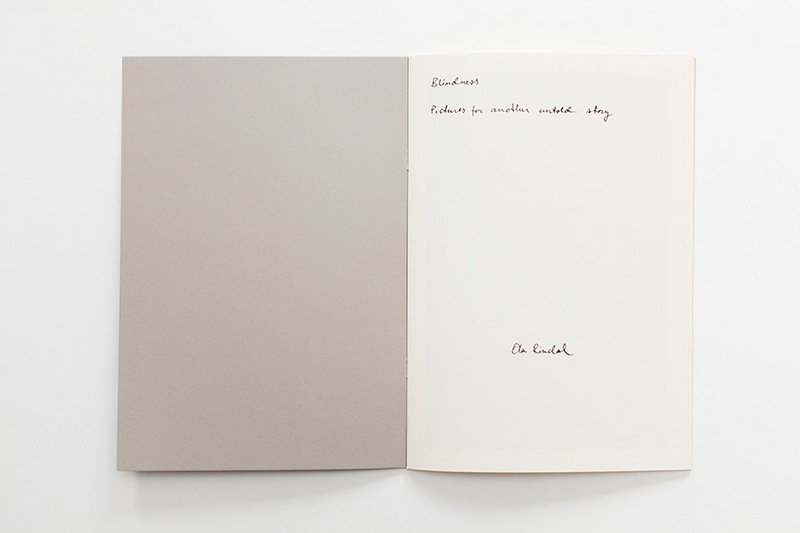 Blindness (Pictures for another untold story) follows up Ola Rindal's previous book titled Invisible (Pictures for an untold story) from 2012. The obvious playfulness in the technique Rindal has chosen for his particular subjects points to a school of photography, where the end result is about exploring a glance, and pushing the boundaries of its terms. Rindal explores the fugitive, the mysterious and invisible in his imagery. Blindness brings the viewer further in to Rindal's world of imagery and is complied of recent images from France and Norway. The uncertainty of Ola Rindal's images grasps the viewer and lures one in to a world of photography free from the notion of instant narrative and representation. 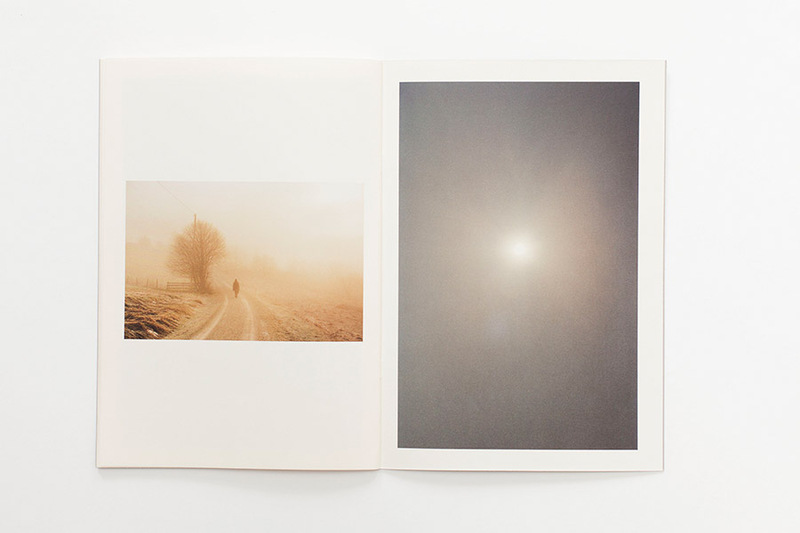 Invisible (Pictures for an untold story) is the product of Rindal's experiments with film, texture, exposure and light. The obvious playfulness in the technique Rindal has chosen for his particular subjects points to a school of photography, where the end result is about exploring a glance, and pushing the boundaries of its terms. 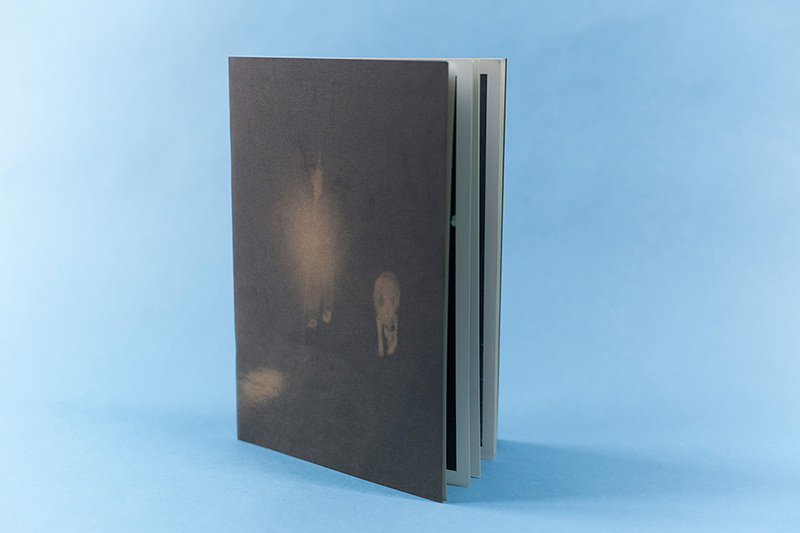 Rindal explores the fugitive, the mysterious and invisible in his imagery. 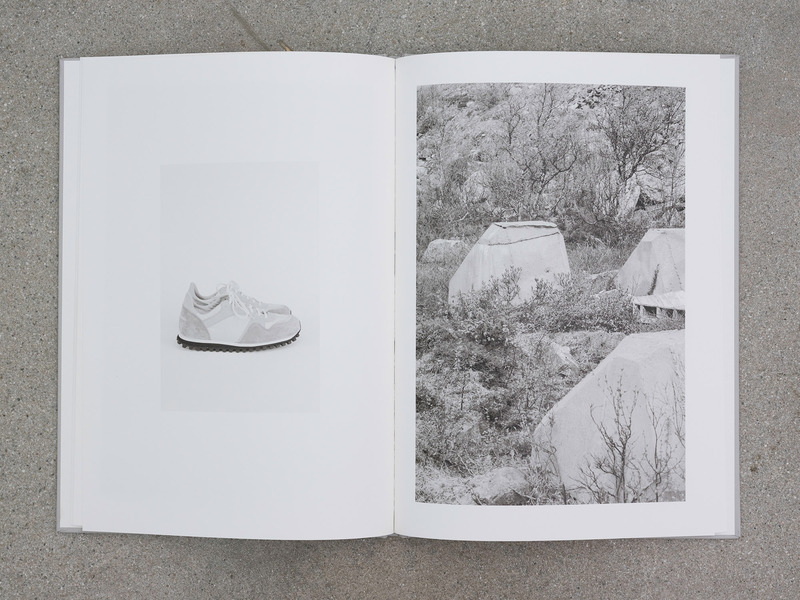 The images for the book have an emphasis on his childhood village of FÃ¥vang, Norway, where Ola Rindal makes up his base when escaping his home in Paris. Synopsis: How one keeps one's garden hose is a visible, though commonly overlooked, sign of one's moral attitude towards the social whole. Often communal property, easily tangled and damaged through neglect, a well-coiled hose shows one's consideration for the next user and the proper functioning of the group. 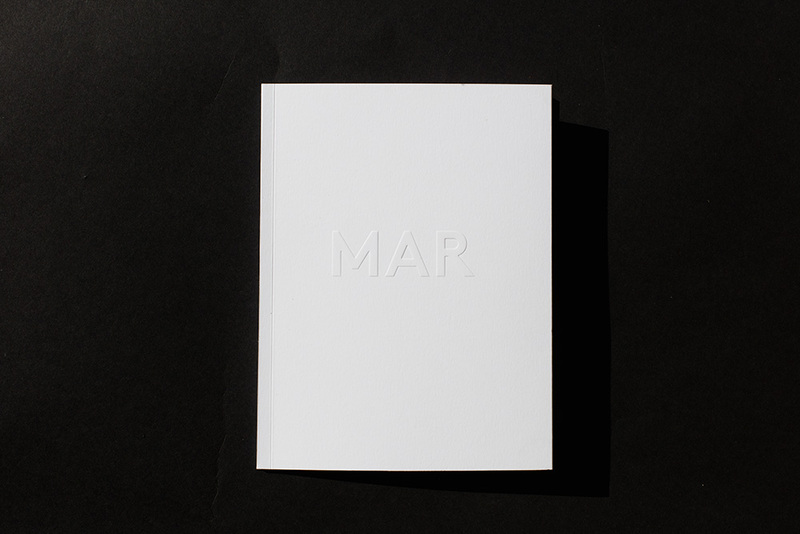 This beautifully printed book contains twenty-seven examples, taken from the backyards and sidewalks of Los Angeles, Oslo, and Buenos Aires. 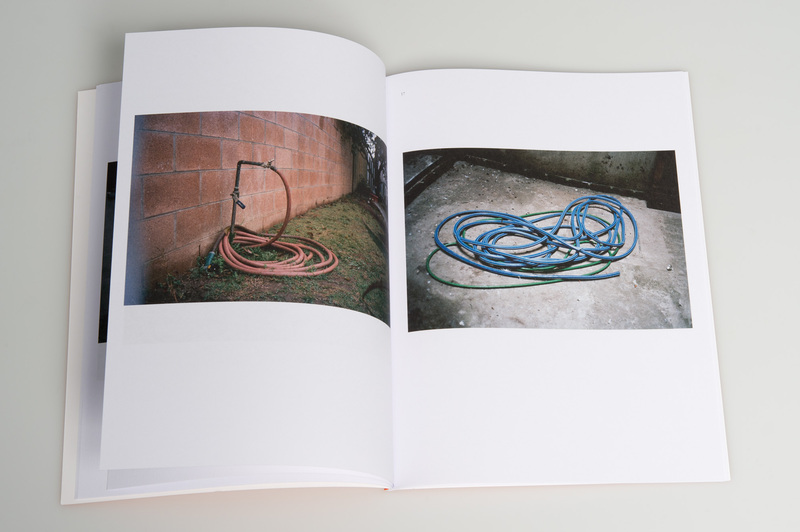 The hoses, wound and unwound, are at a once an exploration into the variations of coiled form and color, and provide a somehow intimate profile of the absent user. 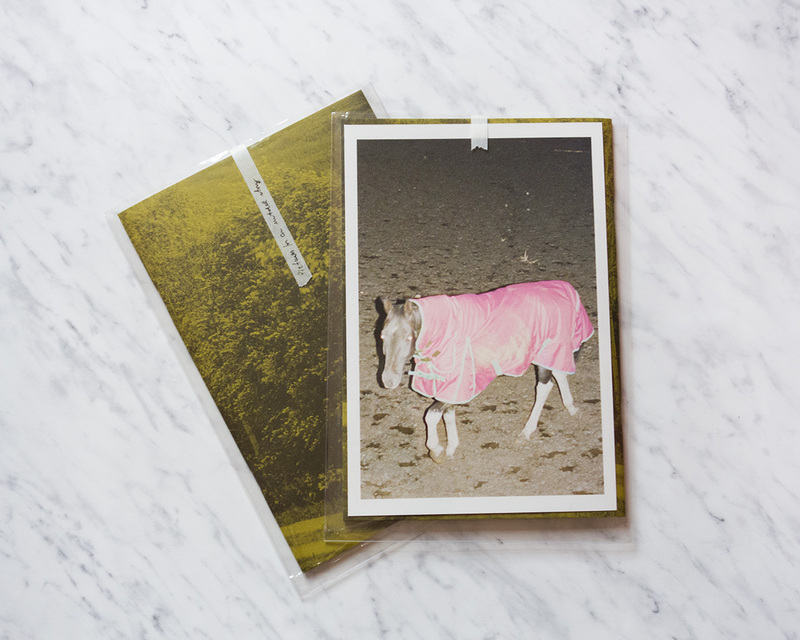 We focus on low cost, limited edition printed matter by emerging artists for converging worldwide distribution. Our card says hello at cornerkiosk dot net, which is the chosen channel of communication. 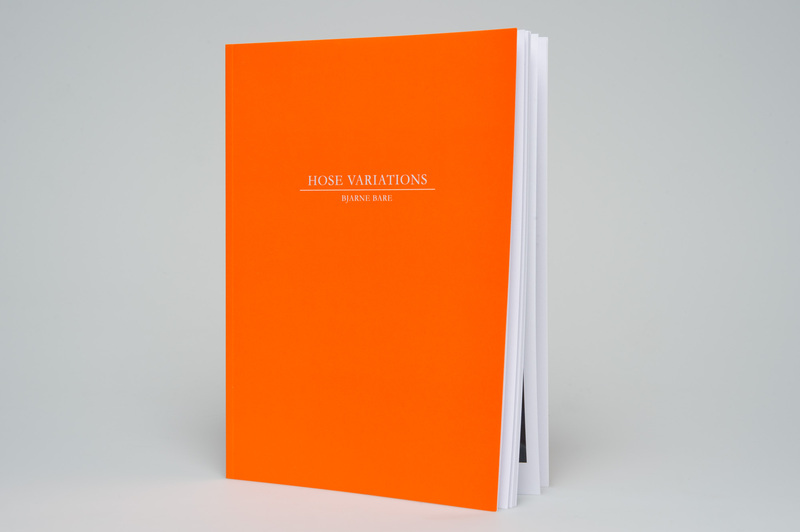 Our publications have been featured at fairs such as the LA Art Book Fair, New York Art Book Fair, Tokyo Art Book Fair, NoFound Paris, Copeland Book Market London, Unseen Amsterdam, One Thousand Books Copenhagen and Fotografia Europea Reggio Emilia, in addition to book stores worldwide.